The analysis of a pile group in a cohesionless soil is developed based on the linear theory of settlement (Poulos). The load-settlement curve for a pile group and the value of the total settlement sg is increased by so-called group settlement factor gf. 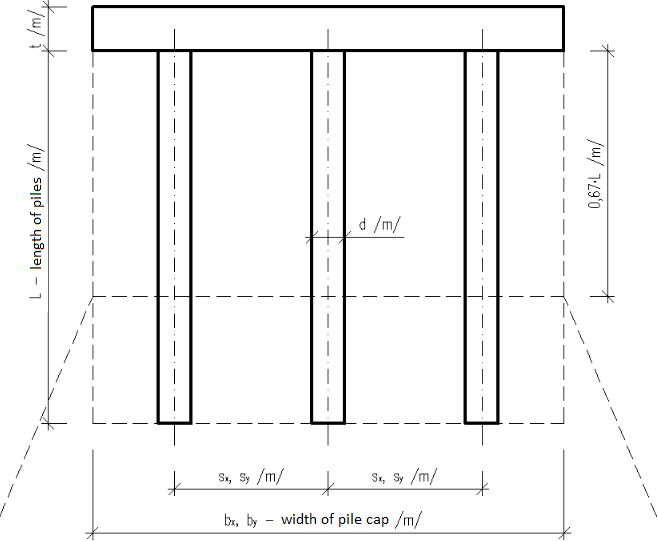 The pile group settlement in a cohesive soil is determined as the settlement of a substitute foundation at a depth of 0,67*L, having a width B and a length B'. Analyses to calculate settlement are described in more detail in "Settlement analysis".